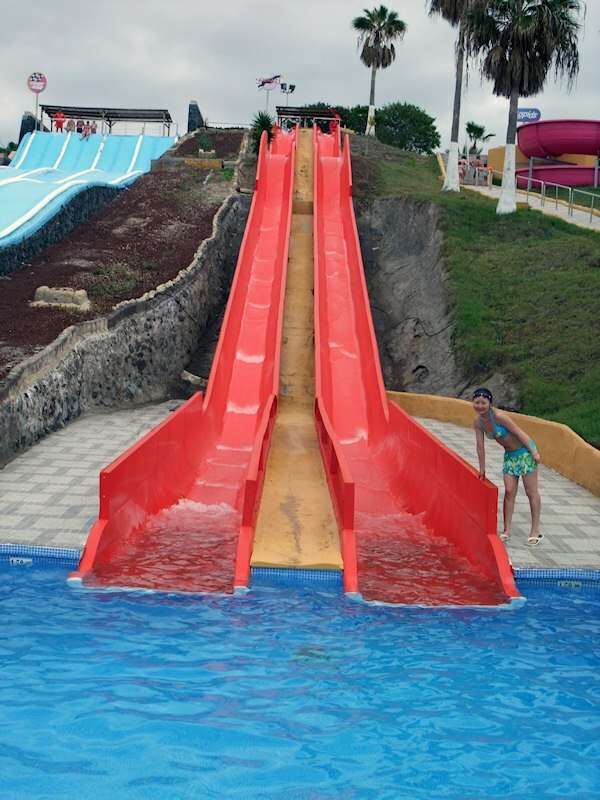 This was the most extreme slide. I tried it once, but it was not so fun, just painful. Water spraying over your whole face and sudden stop when you got to the bottom.